How a SAC self provisions their account access to GTR Global Portal. 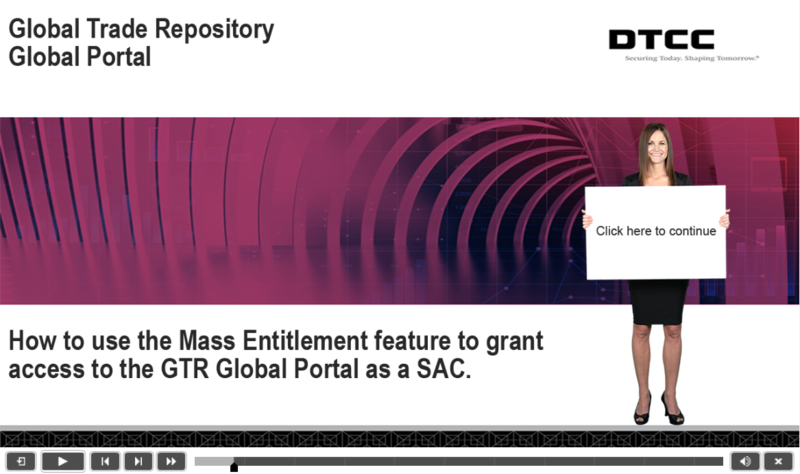 How to use the Mass Entitlements feature to grant access to the GTR Global Portal. 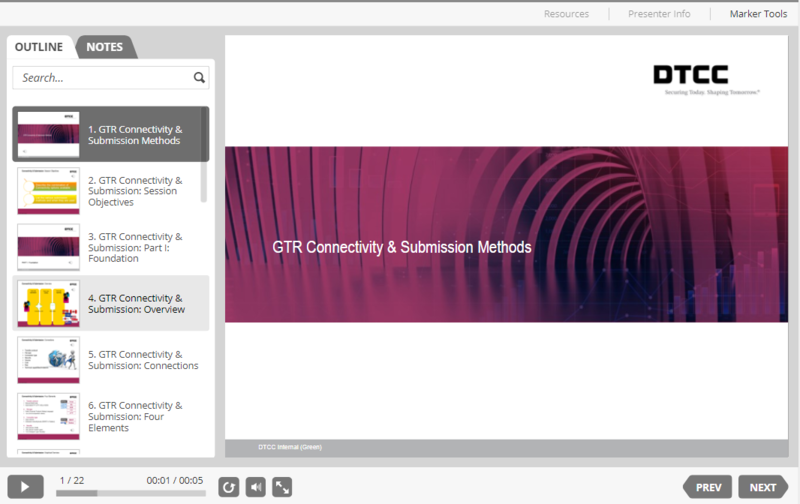 How to grant a new user access to the GTR Global Portal. 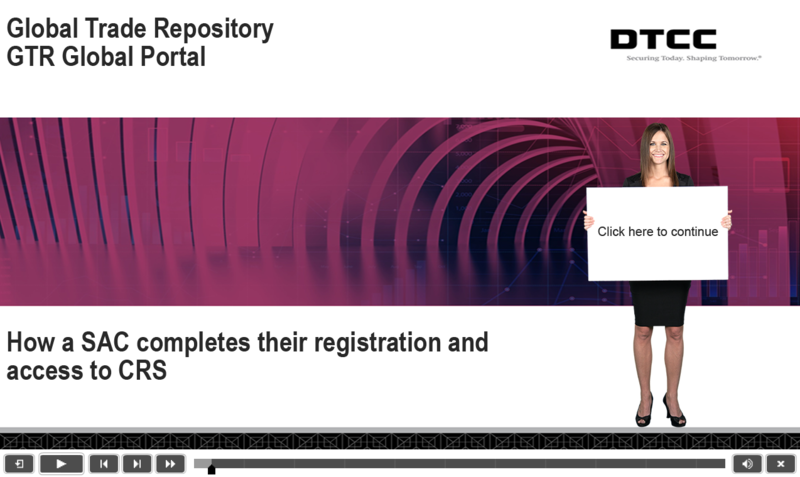 Note: PBS Portal (portal-int.dtcc.com) will be available in 2020. If you can't remember your password, you can reset it through your email address. To reset your password, click on the Login or Register button and click Reset underneath the login field. To reset through your email address, enter your email address you used to create your account and click submit. If you've tried these steps and are still having trouble logging in, Click Get Help! To get the optimal experience, upgrade to the latest version of one of the following browsers: Microsoft Internet Explorer, Google Chrome and Mozilla Firefox. This system is operated by The Depository Trust & Clearing Corporation ("DTCC") and may be accessed only by authorized users for approved purposes. Unauthorized access and use of this system is strictly prohibited by DTCC and by law and may result in criminal or civil penalties. The use of this system may be monitored, recorded, and subject to audit. Anyone accessing this system consents to such monitoring and recording. Information obtained by DTCC through such monitoring and recording may be disclosed to persons within or outside the company.